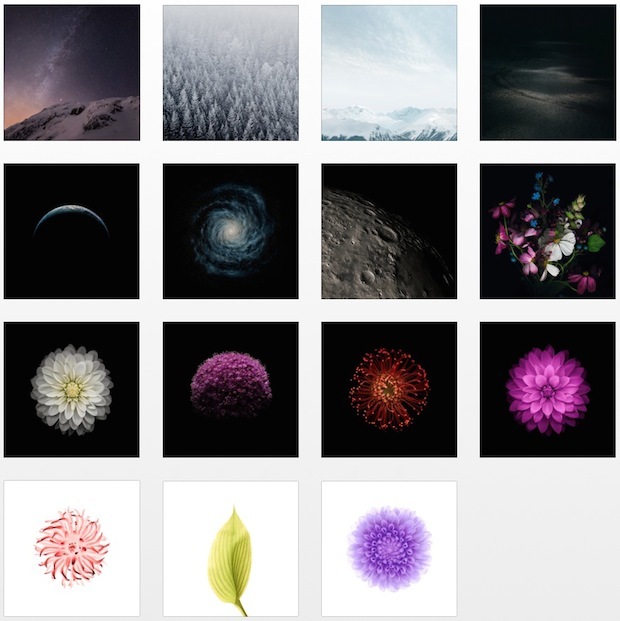 We recently shared the awesome iOS 8 default milky way wallpaper with you, but iOS 8 includes many more new wallpapers than just that. Ranging from great pictures of snowcapped trees, mountains, to many flower shots, and a few space pictures of planet earth and the moon, you can download them all below. Remember these all come with iOS 8, so if you’re going to update to iOS 8 you don’t need to download these, they’ll be in your Settings > Wallpaper on whatever iPad or iPhone you update. Note the complete wallpaper packs hosted on DeviantArt are downloaded in zip format, for iOS that is less than ideal, so if you want to unzip the file directly on your iPhone or iPad you will need a free app like WinZip, otherwise you won’t be able to extract them on the device. Of course for Mac, Windows, or Linux, you can just open them as usual. Not into these? You’ll find plenty of other wallpapers in our archives, check them out. I love Deviant Art. I don’t have to wait until Wednesday to enjoy these great wallpapers.